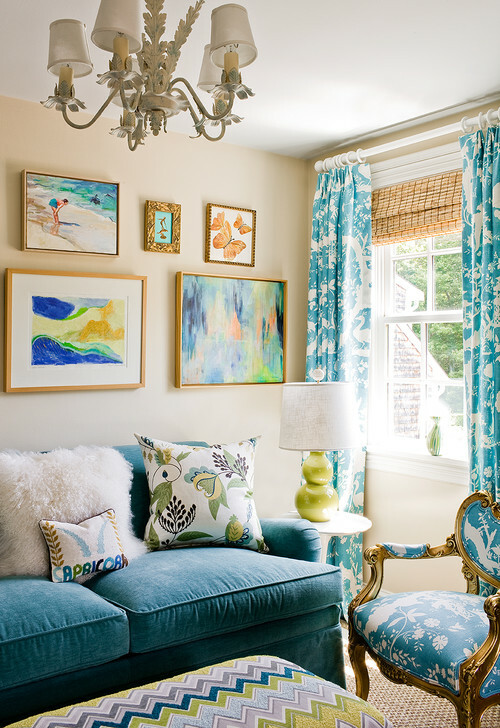 What a fun jumble of colors in this living room from Katie Rosenfeld. So cheery - how could you not have a smile on your face sitting in this room? Great color and a wonderful layered mix of pattern and texture - Katie is a master. I love this and it reaffirms my love of vibrant color!